American Pancake: STREAM: "Couldn't Hold a Candle" by Audacity -- Record Release at the Beach Goth Party! 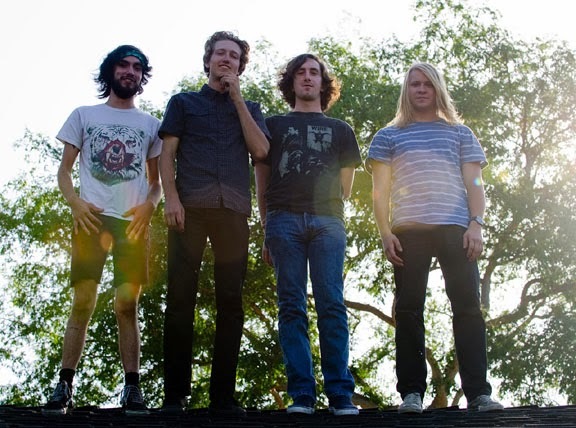 STREAM: "Couldn't Hold a Candle" by Audacity -- Record Release at the Beach Goth Party! American Pancake track reviewed Cold Rush a while back off of Audacity's upcoming album "Butter Knife" that is scheduled to drop on October 29th. NOW- the boys have released another power pop punk peak called "Couldn't Hold a Candle" that cranks so hard it makes me want to do a nose grind into a Caballerial then switch stances and push out a McTwist in my neighbor's empty pool and I don't even skate! 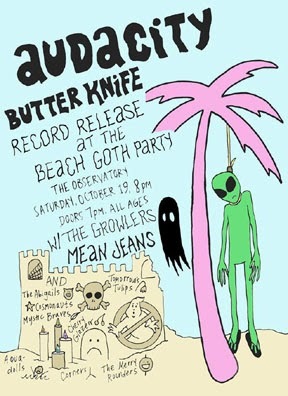 Check it out and oh yeah, Audacity will be playing gigs this weekend including a RECORD release party for "Butter Knife" (see below)! !